Welcome to our Norwegian food pages. 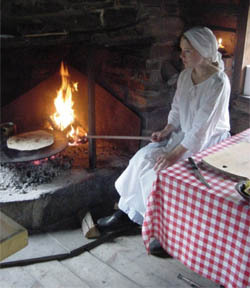 Many foreigners might think about lutefisk, lefser and aquavit when Norwegian food is mentioned. Well, indeed this is a part of our food culture but we have many other delicious dishes and drinks, everybody should be able to find something for their own taste. We decided to publish some of the common Norwegian dishes on these pages as many people have been asking for translations of our recipes. We've also taken along some more unknown delicacies that you might be interested in trying. But at the same time the most of our recipes in Norwegian, can be translated to English with help of google translate. This is not the best solution, but for the most of the recipes it will work. But as I said we got some of the recipes translated manually, which is listed here. For now, we hope you will enjoy our humble collection of Norwegian recipes. Some of our recipe are translated to english. We sort out the most popular recipe voted from our webusers. Here is also drink recipe. We’d also like to mention our huge collection of Norwegian recipes, ordered by counties in Norway. These pages are all in Norwegian, but for those that understand a little bit of Norwegian then there's more then 2000 traditional food recipes. And remember that most fo them can be direct translated to English (or any other language)with the help of Google Translate.